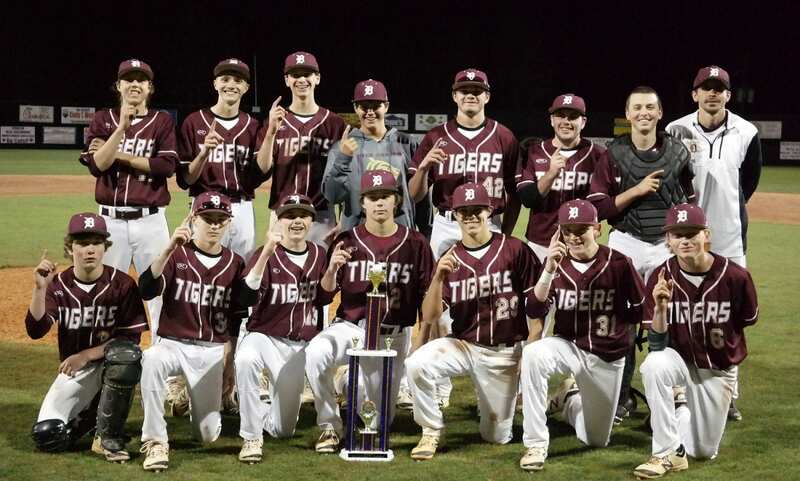 The junior varsity Dawson County High School Tigers have laid claim to the 2016 Mountain League championship, after winning a tournament at Gilmer High School last Friday and Saturday. Dawson toppled Lumpkin 10-0 and the number-one seeded Pickens Dragons 5-2 to advance to the championship game against the number-three seeded White County Warriors. The Tigers and Warriors quickly found themselves immersed in a pitching duel. Dawson finally broke through in the top of the third, when Nate Sorrells drew a leadoff walk and later scored with two outs after Zach Prichard singled off Warriors starter Jace Johnson. A groundout prevented Dawson from extending its lead. The duel pressed on, with the Tigers adding a bit of insurance in the top of the seventh. Hudson Sapp and Sorrells both singled to begin the frame, with Sapp scoring on an error to give DCHS a 2-0 advantage. White County reliever Trevor Morgan managed to get out of the jam by recording a strikeout and inducing two groundouts. The Warriors provided some late-inning drama in the bottom of the seventh. Just one out away from losing the championship game, a pair of singles paid dividends as Johnson doubled off Sorrells to tie the game, 2-2. Johnson was then caught stealing, to send the game into extra innings. Dawson wasted little time reclaiming the lead in the eighth. Hunter Barron singled to start the inning, then later scored with one out after Wyatt Haase garnered a hit. A strikeout and groundout kept the Tigers from adding to the advantage. 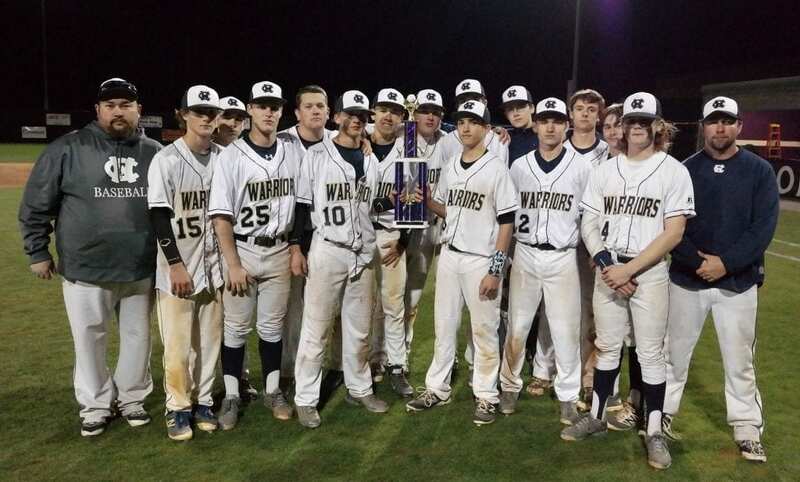 White County got two runners on base with one out in the bottom portion of the eighth, but were unable to get a runner across the plate, giving Dawson the victory and the 2016 JV Mountain League championship.